HaciendasBio is showcasing 18 of its leafy vegetables varieties (lettuce, celery and leeks) as well as its dry fruits (hazelnut, walnuts and almond) produced in the Almeria farm and packaged with environmental friendly packaging. HaciendasBio, the largest producer of organic fruit and vegetables in Spain and European export leader is present at Fruit Logistica' new edition, and will be also participate in Biofach 2019. The company is dedicated to agri-food research before and after the harvest focusing on a sustainable production and biodiversity. HaciendasBio additionally focus on providing new employment in its farms by helping migrants to get a job. HaciendasBio has been on the market since 2003 and have around 45 organic fruits and vegetables distributed worldwide. HaciendasBio is working on new farms and new products to be at the forefront of the global market. HaciendsBio is a group of people devoted to take care of the land, the environment and the improvement of soil’s fertility following the principles of Biodynamic agriculture. This group has a common thought of combining their effort, enthusiasm and daily work and reverting it to the consumer as a full of life fruit. 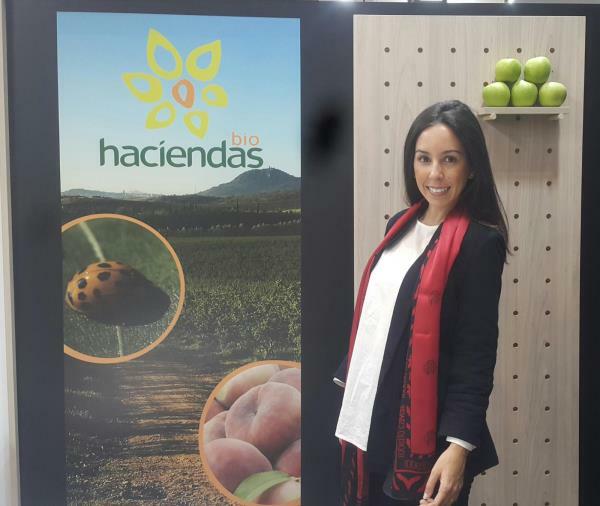 To know more about HaciendasBio visit their stand at Fruit Logistica in the Hall 18 A-02 Extremadura section.